Everyone knows that a touch of greenery can make a real difference in a space, both inside and outside. 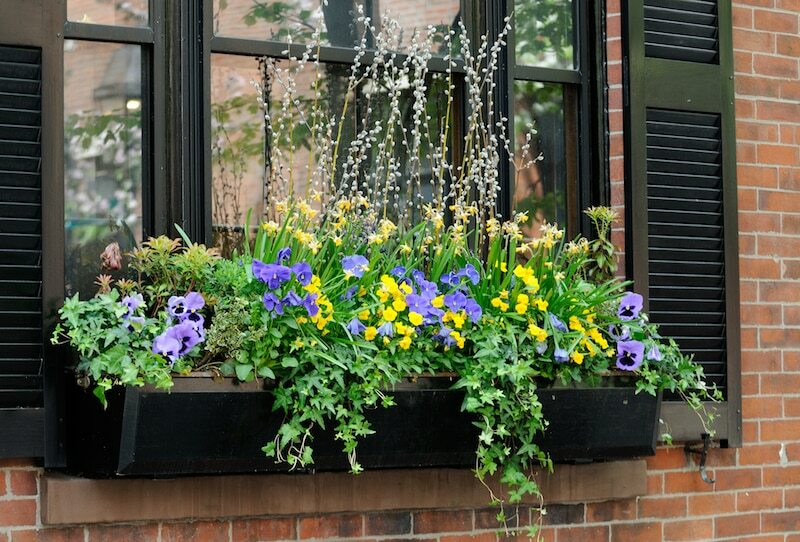 At Everlast, we want to transform your window or balcony space with the help of a practical outdoor planter box. Choosing the right wall or hanging planter for your space can be tough, especially since there are many reasons in which one might be searching for one. Perhaps you are trying to maximise privacy, or create an oasis filled with life and foliage. Whatever your reason, it can often be tricky to navigate the saturated plant storage market – which is why we have done all the research for you. For example, metal planter boxes hold water better than those made out of wood, due to their porous nature. However, plastic pieces can often collapse when filled with larger plants. We take the stress out of adding greenery to your home, by conceptualising, manufacturing and installing the very best planters on the market. Every home can benefit from a carefully selected growing container, so contact Everlast to find the solution for you. Having over 20 years experience makes us industry leaders when it comes to the plant and garden industry. We know it back to front, helping you make the best and most informed decision when it comes to selecting the best growing container for your needs. We are a 100% family owned and operated business, and it is these values that we stand by. Because we are in charge of our own manufacturing, we can completely oversee the quality control of our production. Everything we make is produced in our state of the art facility in Hoppers Crossing, enabling us to ensure the highest quality products are being sent out to you. Community values are deeply engrained at Everlast, which means we don’t believe in cutting corners. We are passionate about this industry, and the people within it. Our tradesmen are the best in the business. Each individual is a highly qualified expert in their field, ready to get the job done to an excellent standard. When you work with us, you can be assured that you will be working with employees that go above and beyond for the customer. The services we offer spans far past planters. We are constantly pursuing other avenues for our clients, and are industry leaders in the areas of landscaping, gating, fencing, decking, concreting and so many more.